Home > Finding Best Credit Cards > How to Choose the Best Credit Card for One’s Needs? How to Choose the Best Credit Card for One’s Needs? I have been following the credit card industry for a while now and one of the most popular questions is: “What is the best credit card?” If I had a dollar for every time I have heard that question asked I could retire and never have to work a day again in my life. There is no answer to this question because “the best credit card” is different for everyone. 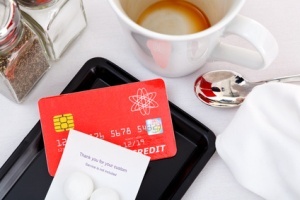 It all comes down to what you are looking for in a credit card. To choose the best credit card for your needs you need to know what your needs are. If you are just looking to improve your credit score so you can qualify yourself for lines of credit such as auto loans or home mortgages than you should not be too choosy when looking for a credit card. In this case you should look for a card that does not require great credit that will give you a decent line of credit. If you plan on making all of your everyday purchases with your credit card and you have a good credit score you should look for a cash back credit card that will give you one to two cents back in cash for every dollar you spend. Those one or two cents can really add up over time. One of the positive changes the credit card industry has experienced since its inception is the increase in diversity amongst cards. There are now cards for almost every person in almost every financial situation which is great news. This means you do not have to settle, never settle in life, never settle financially, and never settle when looking for the perfect credit card. One overlooked aspect of owning a credit card is the support team that is behind it. Like it or not you will need to talk to the support team behind the credit card eventually. You may have a serious complaint such as stolen identity or unknown charges, you may just want to negotiate your fee’s or APR, no matter the problem you want to have a group of people associated with the card that you can talk to that will support you and actually listen to your questions or complaints. The support team behind a credit card is often overlooked, you want to have a credit card with a company that is open 24/7, not 8-5 Monday through Friday. In the end this is your decision, use your “gut feeling” and necessary attributes in order to narrow down your list to a select few elite cards. Do not let anyone make your decision for you!